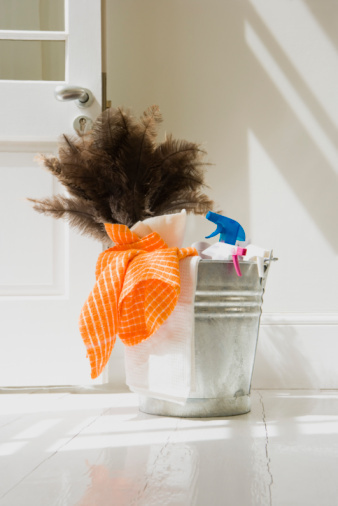 You work hard to keep your home clean and the bathroom is no exception. But, it seems no matter how diligent you are with your bathroom cleaning routine, ugly black stains reappear in the grout between the bathroom tiles. Using the proper tools and cleaners to get rid of the stains and then applying preventative measures is all you need to keep your shower stall grout and tiles sparkling clean and free of mold and mildew. Remove all soap scum from the tiles and grout with distilled white vinegar. 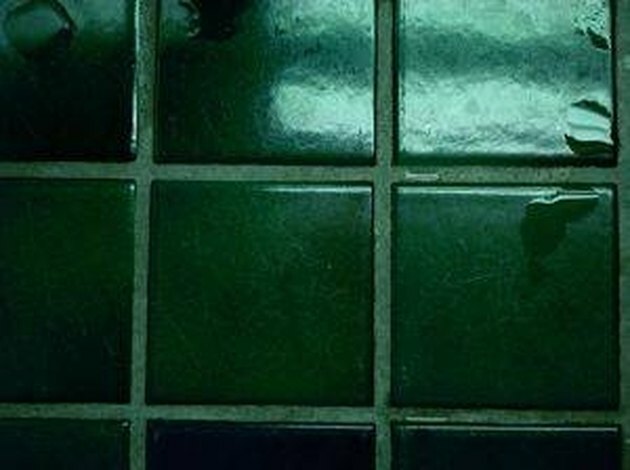 Fill a spray bottle with vinegar and wet down the tiles and grout. Allow to set for 15 minutes and reapply. Use a scrub brush to scrub the tiles. An old toothbrush is ideal for cleaning the grout. Rinse thoroughly with cold water and wipe dry with a soft dry cloth. Apply lemon juice to any areas of the grout that require extra attention. Saturate a cotton swab or cotton ball with lemon juice and wet the area. Allow to set for 5 minutes and scrub with a soft bristled brush to lift and remove stains. Rinse clear and dry thoroughly. Apply a coat of car wax to cleaned and dried tiles. This will seal tiles and grout and repel water. Allow the wax to dry and buff to a shine following the directions on the product. Wipe down tiles daily after showers or baths to maintain sparkling clean shower tiles that are free from stains or buildup from soap scum. Reapply wax once or twice a year.